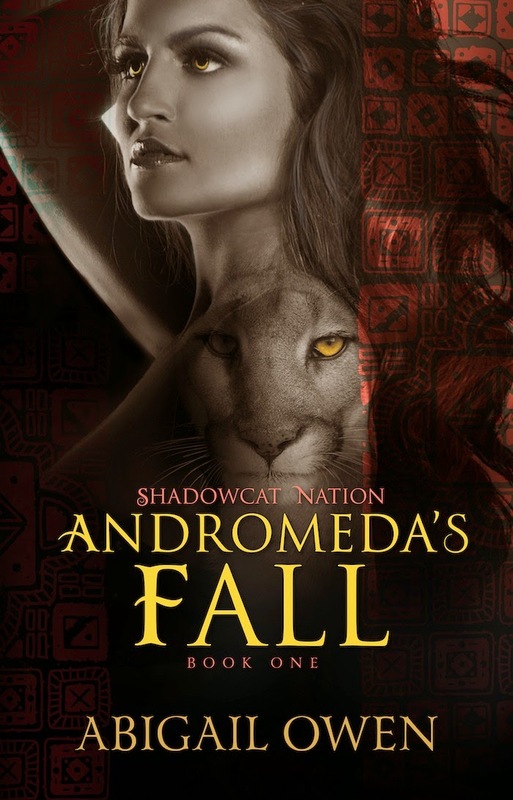 Today I'm delighted to welcome Abigail Owen, author of Andromeda's Fall, to my blog. As you read her post, you'll probably guess what attracted me to her book. I recently wrote a blog post about my relationship with romance. I started reading romance in junior high and it’s still one of my favorite genres at a high level. But today I want to concentrate on the paranormal piece of things. What exactly is the appeal – the fascination – with paranormal? With worlds where the rules don’t quite apply? With people that have extraordinary gifts? For me, a good portion of the appeal is the pure imagination that goes into discovering a world like that – whether it’s reading, watching, or writing. I love the concept of each world I come across. I love the characters and powers and situations. It’s anything the creator can dream up. And that’s what I love – it’s limitless. The world-builder can come up with the situation – is it an entirely different world? If so, how different? There are a lot of subgenres that do this. High fantasy like Lord of the Rings or Game of Thrones. Space opera like Star Wars. They’re all great. The creator gets to set ALL the rules. Paranormal romance – however tends to be set in contemporary Earth. So it’s a world secret from our own. It’s a world that is built on our rules, but breaks them in really interesting ways. Think X-Men only with love thrown in. Challenging for the creator, but in a different way from building completely new worlds. Paranormal writers have to blending the two. I really enjoy the thought of these coolly secret worlds. What I also love about paranormal is the “it could happen” factor. The fantasy and science fiction genres are awesome, but obviously could never happen since they’re set in worlds that don’t exist. But with paranormal, because it’s built in our world, there’s always the possibility. No, I’m not crazy enough to believe it could really happen, then again, the “but maybe” mentality is what makes it so fun. It’s that imagination thing again. I read these genres for the pure escapism. So escaping into a world that could be, that is secretly part of our own, and that stretches only the limits of the creator’s imagination – all while providing a romantic happy ending – makes paranormal romance one of my favorite genres. One that I never get tired of exploring and discovering.